Just wanted to wish all my fellow Joe Daki’s out there a funky time tonight for the annual festival of lights; I will never know how you lot were able to steal Guy Fawkes night away from the honkies. Bravo! I do love a good Diwali; although given the option I much prefer a nice hot Madras! 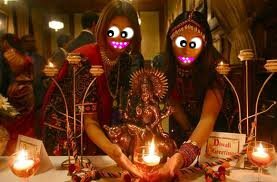 This entry was posted in Anglo-Indian and tagged diwali on November 5, 2010 by Kevin. My children, this Diwali I would respectfully request that you all break with the usual traditions and celebrate my immense greatness by lighting lots and lots of cherry scented candles. Follow my instructions and you will all have a peaceful, happy and prosperous New Year. Or your money back! Kiss my brown self, owwwwwwwwww! My plan for Diwali was to ride over to my pal Alan’s and let him test out the snazzy video camera gadget that he’d installed on his motorbike. The ‘Dogcam 520 pro’ was fitted in the rear (best place for it Alan?) to pick me as I travelled along the winding roads of Kent; in reality the footage only lasted a mere 6 minutes because Al used cheap batteries from Hong Kong and the majority of what did get recorded showed him struggling to get the cover back on over the top of the camcorders hidey space thingamy. Riveting stuff! I have of course included the footage below so that Mr McSpielberg may receive plaudits for his directing skills. Getting my own ‘Dogcam’ may well be on the cards; I suspect that it could have some very amusing applications!?! I say, get your mind out of the gutter, I’m a respectable man you know! Right, I’m off to scoff my commemorate the Festival of Lights with a good curry. No Anglo Indians were harmed in the production of this film. ………..although I was arguably exploited? This entry was posted in Anglo-Indian, Kevs Anti-Rants and tagged diwali, dogcam 520 pro, festival of light, laguna Maidstone on October 17, 2009 by Kevin.